Sarah Jade knew her son would be born sleeping after he was diagnosed with severe complications at a routine scan. Her son’s condition was not conducive with life. For those who have not experienced the loss of a baby, it is impossible to imagine the emotions she must have felt during this time. At 33 weeks, Sarah went into spontaneous labour, a couple of days before she was due to be induced. Sarah and her husband Tim named their baby boy Aksel Jude. Sarah invited birth photographer Lacey Barratt to capture a series of images at the birth and during the following days. The photographs helped Sarah and Tim find strength after their loss, and they have now been made public. Sarah wanted to share their intimate photos with the world to break the stigma surrounding baby loss. 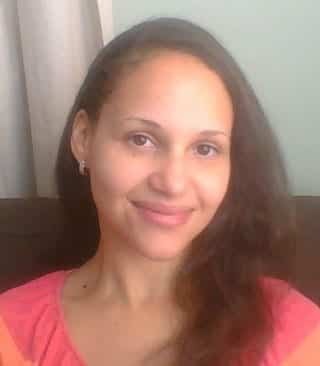 She hopes grieving parents who see the images will find it easier to come forward and ask for help. The photographs are dark and moody. They capture the silence, and the raw emotions of those in the room – the heartbreak and the loss. No doubt they transport Sarah and Tim back to that room, and recall their too brief moments with their son. The photographs show the strength of a mother giving birth to a baby she knows is already gone. 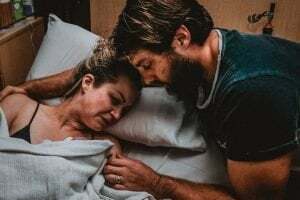 The striking images show the determination on her face, and the tears escaping, between contractions, as well as the support and love of those with her in the birthing room. Writing about the birth on her Facebook page, Sarah Jade said: “We knew you were already gone but my heart didn’t want to let you go. Oh hell, I tried my best to cling on to you in my womb and maybe wake up to it all being a bad dream”. “Women of loss, your outcome is the same. You still make a baby, labour, birth, and care for your baby. The only difference is you get to give all of the love you would normally give over the course of a lifetime to your baby in one single powerful and intense moment. “What an incredible way to love your baby. An experience I will never have with mine. Aksel Jude, you knew nothing but love in this world. What an incredible way to experience this world”. Lacey photographed the birth and captured the moment Sarah and Tim laid eyes on their son for the first time. She visited the couple the next day to take further photos of them with Aksel Jude and his older brother. She also attended Aksel Jude’s funeral and captured some emotional images of the parents saying goodbye to their beautiful son. “It’s hard to truly capture the feeling of that room. The feeling that you had entered a sacred space was palpable. The air was electric and I felt like I could have literally grabbed the energy between my fingers. The atmosphere was heavy and the grief on Sarah and Tim’s faces was utterly heartbreaking”. She added: “Tim cut his son’s umbilical cord and the midwife helped to place her son on her chest. His tiny body was finally revealed to his parents. In moments like this, there are literally no words. And I learned in that moment that that’s okay. We can live with silence. We don’t have to fill it and we don’t have to offer words of comfort, because there are none. “I stepped back into a corner of the room and sat quietly on the couch so Sarah and Tim could be with their son. Apart from the occasional click of Lacey’s camera and the music playing quietly in the background, there was mostly silence”. Stillbirth is not often talked about; it is something kept quiet and personal. People don’t ask about the birth, or the baby; they simply offer condolences with well-meaning but empty words. It is time to change that. These photographs might start a conversation and open people’s eyes to the reasons why we need to talk about baby loss. It is hoped the photographs will offer comfort to other grieving parents, as they have done for Sarah and Tim. The social stigma surrounding baby loss means it can be difficult for grieving parents to reach out for help. As a society, we need to be able to hear people discuss their experiences of baby loss so we can support them. When grieving parents are silenced by society’s discomfort with the topic, the grief and hurt are internalised and become a burden they must carry alone. We must reach out and offer our support, a shoulder to cry on, and a much-needed ear. 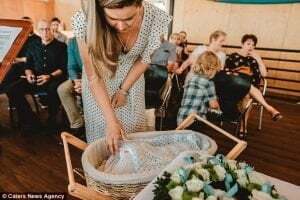 In memory of Aksel Jude, Sarah and Tim are raising money to help ease the financial strain for other parents forced to say goodbye to their babies too soon. The couple hope to fundraise $20,000 to help other families in need. Writing on their Go Fund Me page, the couple explains: “We’ve heard so many heartbreaking stories from those that would have loved and needed the support and experiences to help them but have found budgeting and finances just haven’t allowed. “Because you can’t get those moments. And no one wants to be left without the memories or support to help guide them through, even just being able to talk to someone who has been there and they don’t have to explain their story to another person. 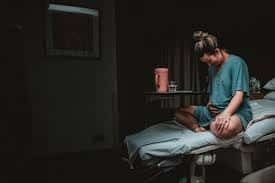 Whether it be for funeral, birth photographers, Doulas, whatever support the family needs to honour their angel baby, we want to be able to help”.